If your passion for exceptional patient care is matched only by your desire to lead others in achieving shared and individual success, the Opportunity for a Lifetime of fulfillment awaits you in Nursing Leadership with Duke. 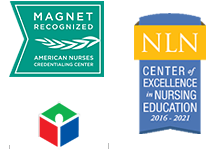 Duke University Health System is already among the most prestigious and respected academic health systems – with three of our six world-class facilities having achieved Magnet status, and being recognized by the NCNA with Hallmarks of Healthy Workplaces. Our success is due to great leadership, and our future depends on finding and developing great future leaders – like you. Put your knowledge and proven, effective leadership skills to work with us, performing critical decision- making and governance functions, within a variety of settings.